Education is the soul of democracy. The direct link between democracy and education is a well-established fact. Numerous studies have highlighted education as the single, most vital pre-condition for a functioning, stable and sustainable democracy. A 2007 study by researchers at Harvard University titled “Why does democracy need education?” notes that “across countries, education and democracy are highly correlated. Schooling teaches people to interact with others and raises the benefits of civic participation, including voting and organizing.” But it is not just any type of schooling; as a Carnegie Middle East Center 2011 study notes, an education that would lead to strong democratic foundations is one that stresses to learners “what it means to be citizens who learn how to think, seek and produce knowledge, question, and innovate rather than be subjects of the state who are taught what to think and how to behave.” It is the argument of this piece that this latter type of education is precisely the one now being pursued by Egypt. While democracy has undeniably proven itself to be the best form of governance; one has to be very wary of haphazard democratic reform. The question is not so much about whether or not to implement it as a form of governance, but more of how to safeguard it, maintain it and ensure that it is not exploited by those with malicious intent. It is important here to clarify that this piece is not pushing the claim that the ‘Egyptian people are not ready for democracy.’ To the contrary, Egypt is already striving with vigorous steps towards building a democratic society. What this piece hopes to highlight is that a proper educational foundation is the single, most important bulwark against abusers and exploiters of democracy. It is in this context that President Abdel Fattah El Sisi has declared 2019 as the “Year of Education” during his participation in the sixth Annual Youth Conference last July. The conference, which witnessed the attendance of over 3,000 students and officials, conveyed a very clear message: there is currently an unprecedented intent to cement democracy in Egyptian society through education. The president’s declaration crowned many other initiatives Egypt has been fastidiously pursuing to develop and empower its young population, over the course of the last four years. The current drive to overhaul the country’s educational system, the holding of regular youth conferences, the creation of the largest free-to-access digital library in the world (the Egyptian Knowledge Bank) and the creation of the Presidential Leadership Program (PLP), are all perfect examples of the Egyptian government’s resolve to accord the issue of education the highest priority on its developmental agenda. This is not to mention the various initiatives adopted on the economic and financial fronts to tackle youth unemployment and make Egypt a global start-up hub. These tangible initiatives, which are fully backed by the country’s current political leadership, are not just flashy words on paper. They are accorded the needed financial resources to become a reality. For instance, in April 2018 Egypt successfully secured a USD500 million loan from the World Bank to reform its educational system. This not only ensures the materialization of Egypt’s ambitious educational reform program, it also highlights the credibility this program enjoys in the eyes of Egypt’s international partners. On a similar note, the Presidential Leadership Program is working full force to train a cadre of savvy, young Egyptian leaders. And here it should be made clear that this is not a political party. Participants are not being indoctrinated to follow a certain set of beliefs or uphold loyalty to a certain political current; rather they are trained on the virtues of empiricism, of loyalty to nation and country, and on professionalism. This is not to mention President Abdel Fatah El-Sisi’s decision in 2017 to establish an Egyptian National Academy for Youth to trainprospective leaders on matters of good governance. The Academy is modeled after France’s prestigious École Nationale d’Administration and has received praise by the latter’s Director, Mr. Patrick Gérard, who visited Egypt early 2018 and expressed his admiration for the Academy’s ideal design for group and individual training. This is not the sole instance of international cooperation and involvement in Egypt’s new educational infrastructure. 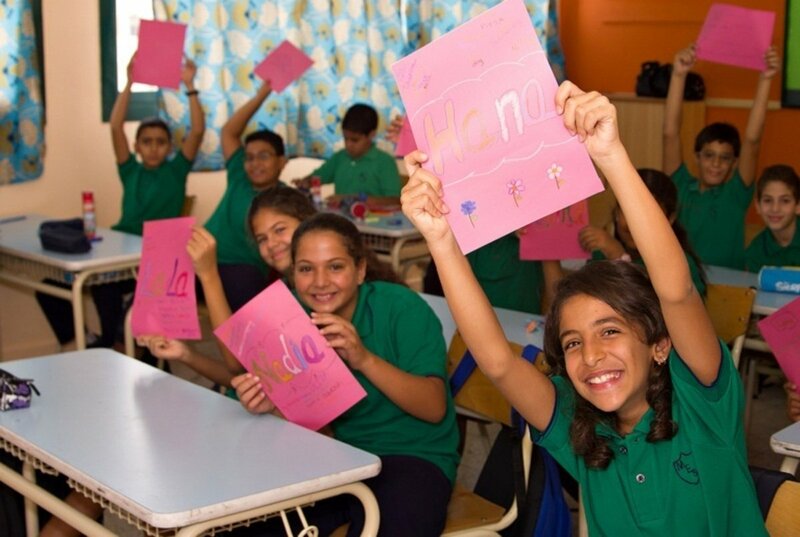 Another example can be seen in Egypt’s drive to create a number of new Egyptian-Japanese schools based on the Japanese model of “Educating the Whole Child” or Tokkatsu, which alongside the Egyptian curriculum, will serve to instill learners with emotional stability, values, attitudes, and social skills in such a manner that allows them to excel and organize in today’s complex and multicultural world. Around 100,000 teachers are already now receiving a special training on this system. Overall, the world needs to pay attention to the efforts Egypt is exerting to bolster democracy and plant the seeds of the liberal principles that underpin it across Egyptian society. The country has taken commendable steps to eradicate terrorism, both intellectually and militarily. It has courageously adopted tough but necessary economic reforms. It has empowered the National Council for Human Rights and the National Council for Women, making them models for other transitioning countries in the region. It is cracking down hard on corruption, as evident by the tireless efforts of the Administrative Oversight Authority. Last, but most definitely not least, it is tackling the intricate issue of educational reform head on, paving the path for a prosperous and democratic future. These efforts should be recognized and lauded by Egypt’s international partners, who should continue supporting Egypt on its developmental journey.